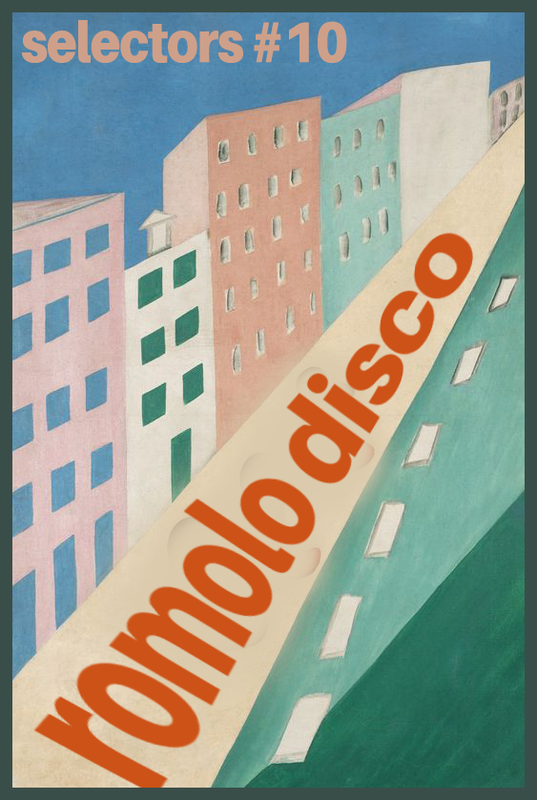 From the little that we know about Romolo Disco, it’s safe to assume that we’re onto something good. He was born in Uruguay and is responsible for kickstarting an underground disco scene in Montevideo, which today is thriving and provides refuge for a generation of good-time folks who might never have known their calling. He holds a growing stake in the underground landscape of São Paulo, spending the last five years throwing parties in warehouses, bunkers and abandoned rooftops all over Brazil’s best party city. Word has it that he now lives in Amsterdam, making the occasional trip to Italy, Spain and the UK to introduce himself and share his feel-good sounds to the crowd of heads that gather. Here’s a DJ seasoned in the global underground, coming to the selectors armed with a mengarie of good-time Brazilian disco, classic soul edits and AOR grooves, seamlessly mixed into 90 minutes of get-down funk attitude. Is it balearic? That’s up to you. A Uruguayan, a Paulistano, an Amsterdamer and a top-notch jockey: enjoy selectors #10 from Romolo Disco. See the mixes page for more on the selectors, and don’t forget to give us a like to get great new sounds straight to your feed.